The Frauenverein meets at 11:30 AM on every third Wednesday of each month. The meeting starts with a happy greeting and a prayer and continues with delicious home-baked treats and a cup of coffee or tea. If possible, the pastor joins the group for a short time and speaks about a special scripture or about church news. During the meeting, friends who are sick or unable to participate are remembered with a prayer and good wishes. Prayers are also offered for members and friends who have passed away. The group gives financial support to causes that make a difference in the lives of people who are in need, including the Schneller School in Germany. 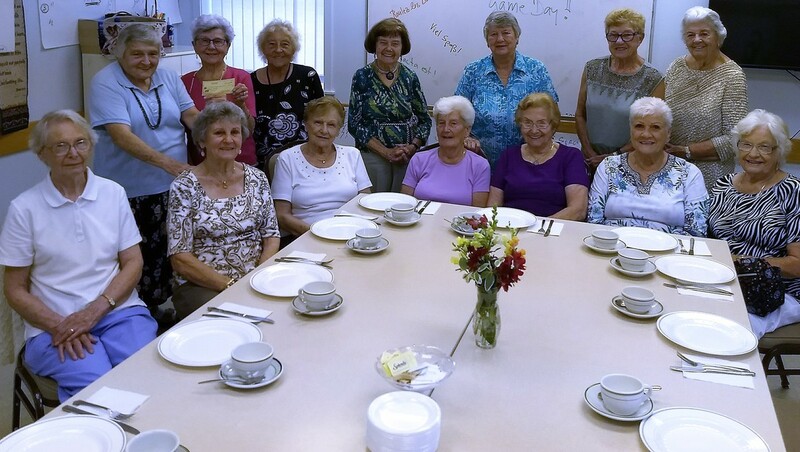 With Immanuel's historical roots being in the German-speaking community of Philadelphia, it is no surprise that groups were developed to foster fellowship and friendship among German-speaking members and friends. One such group is the German Circle that was started almost 50 years ago. Through the ensuing years, strong bonds of friendship and camaraderie have been formed. The group meets at 7:00 p.m. on the first Sunday of each month (except for July and August) on the church campus in the downstairs Fellowship Hall. Regular meetings include devotions, singing, a short business meeting, followed by an interesting speaker, topic and/or discussion. The meetings with cake and coffee and good conversation. Throughout the year the group also sponsors special events, such as picnics, day trips, covered dish suppers, and a German Christmas celebration. The two main events spearheaded by the circle are a sauerkraut supper and Christmas bazaar early in November and a ham supper and Bazaar in March. These two events connect the Immanuel church family with congregants, neighbors, and friends in Philadelphia and suburban communities. The German Circle donates a generous portion of the net event receipts to various charitable organizations and causes that assist people in need and supports the work of Immanuel Church and its ministries.